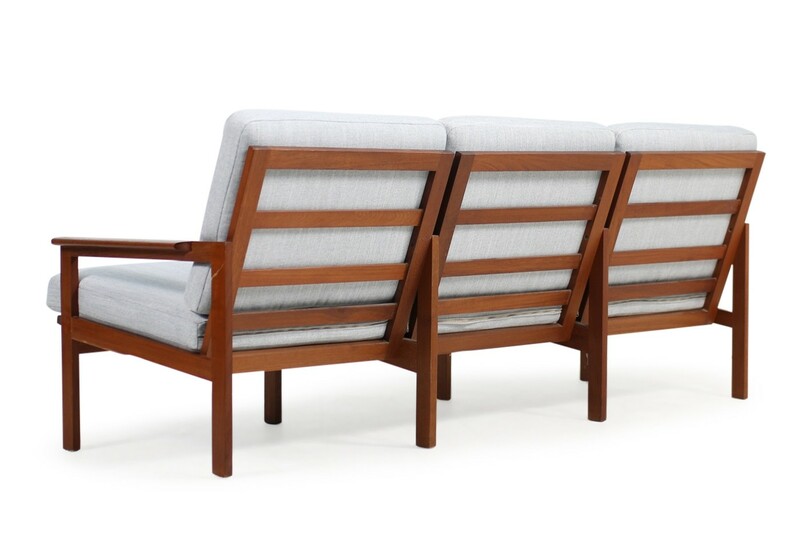 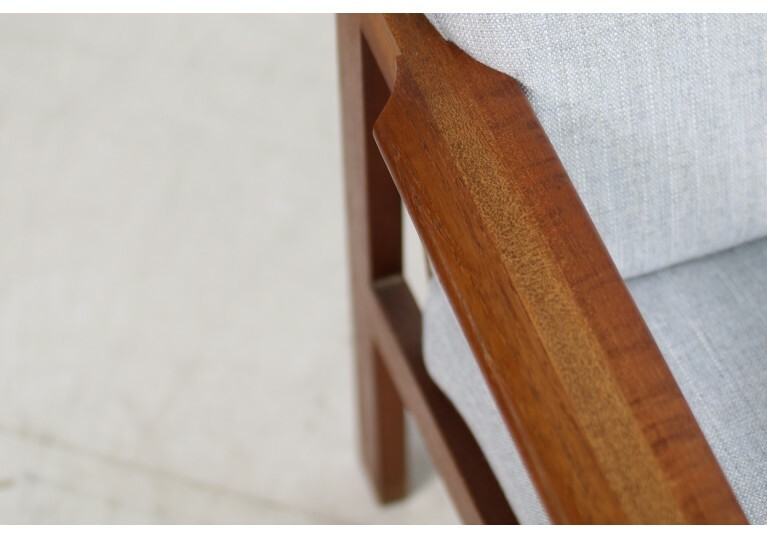 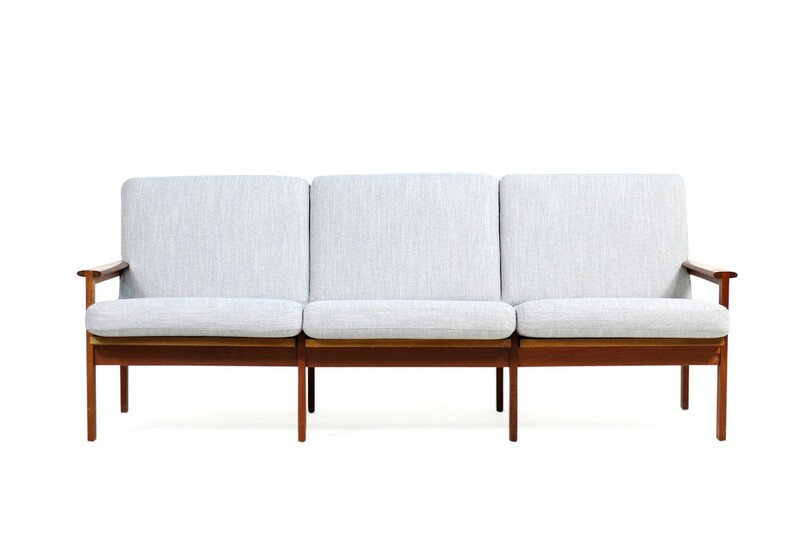 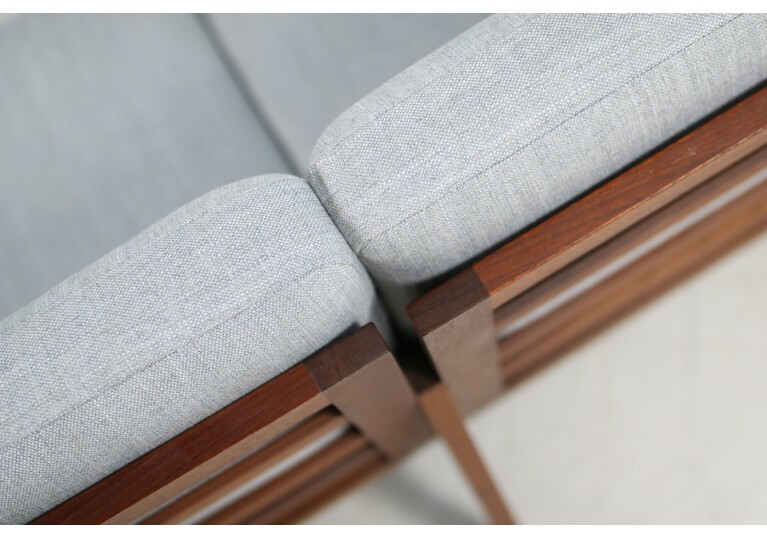 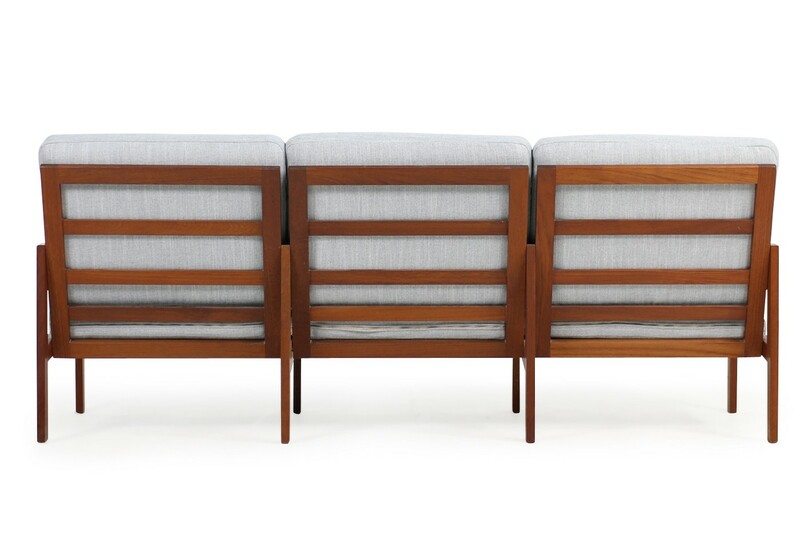 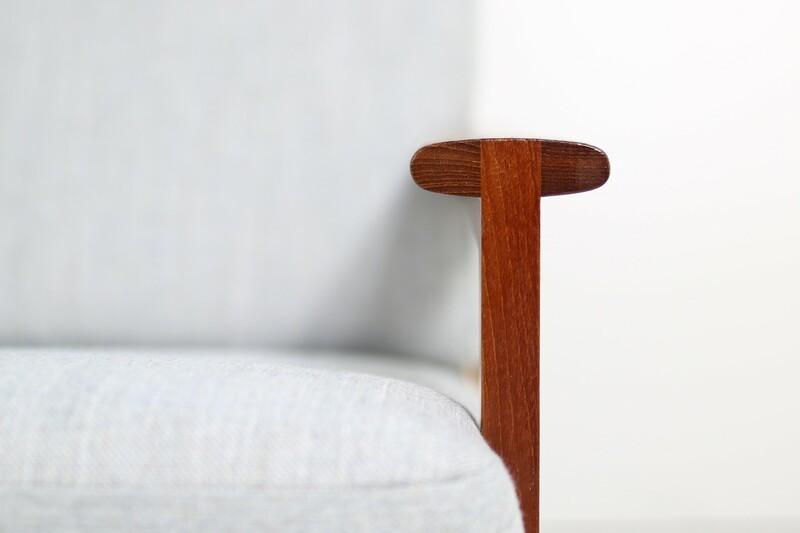 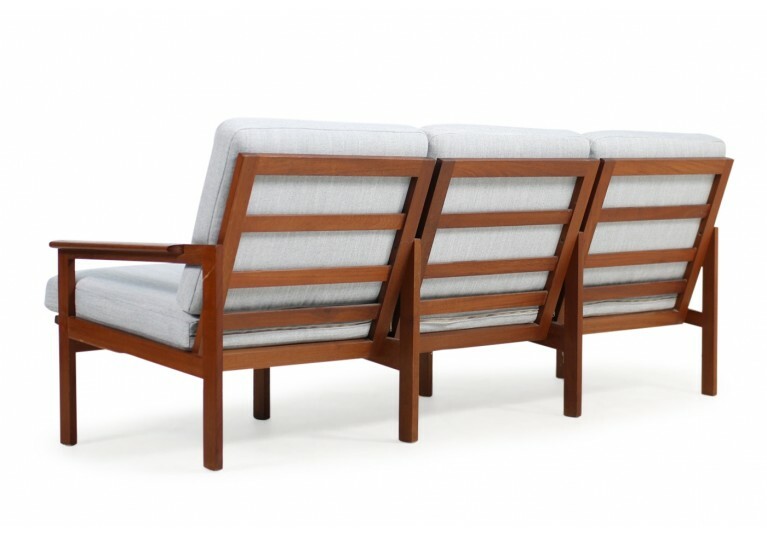 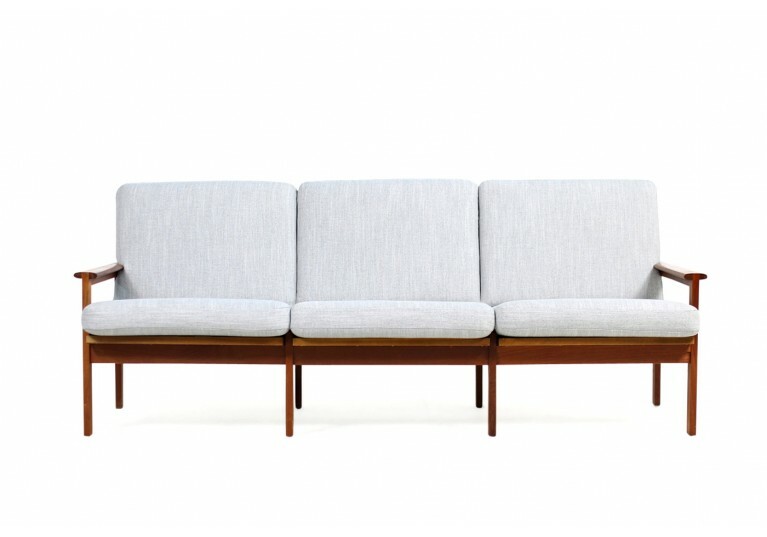 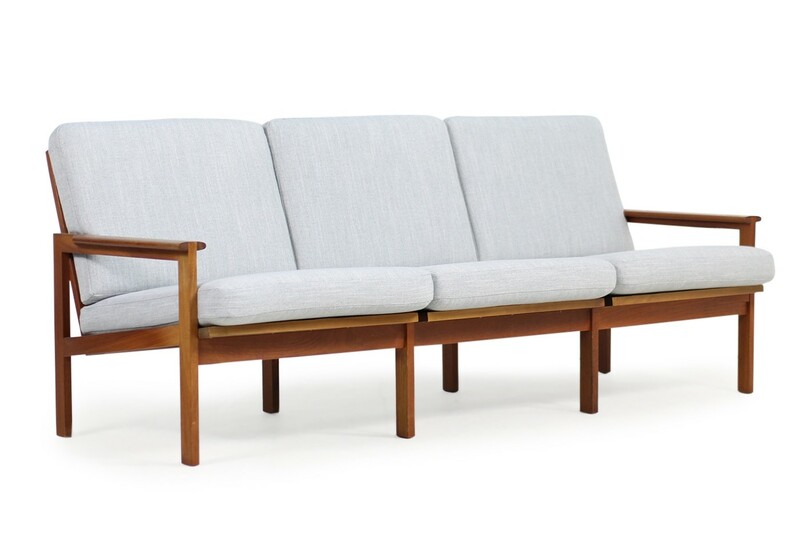 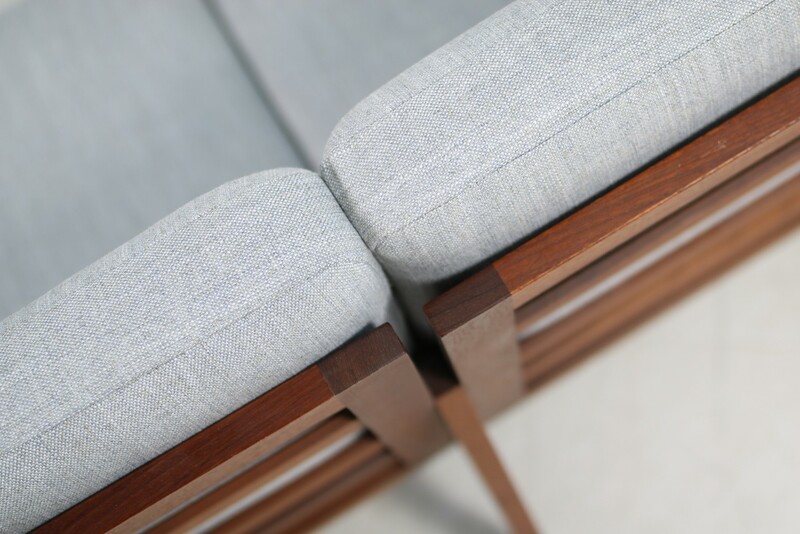 Beautiful 1960s Teak Sofa, new upholstery and covered with a beautiful light grey woven fabric. 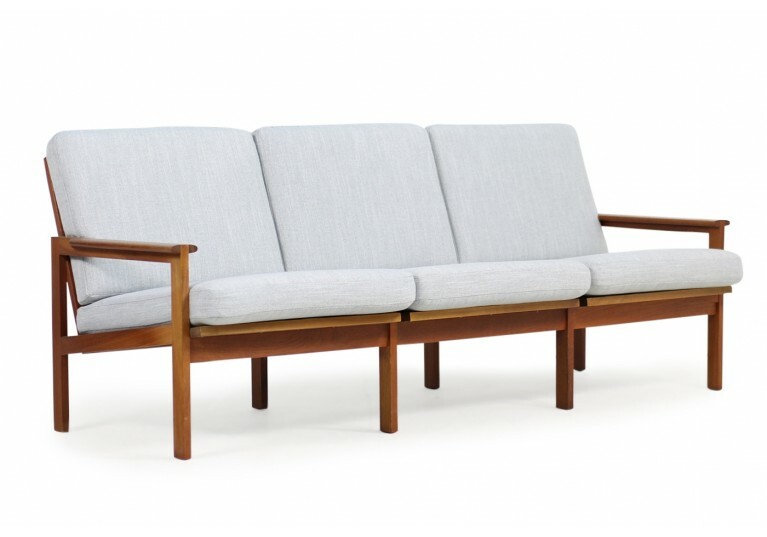 Model Capella by Illum Wikkelsø for Niels Eilersen, Denmark. 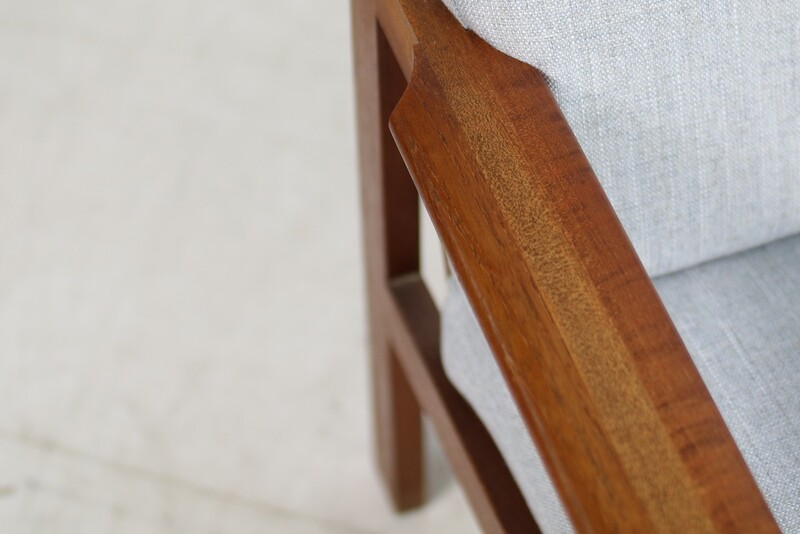 Solid teakwood base also in a very good condition, we have a pair of matching chairs available.